To eliminate the oppression of ageism and to stand in solidarity against all oppressions. 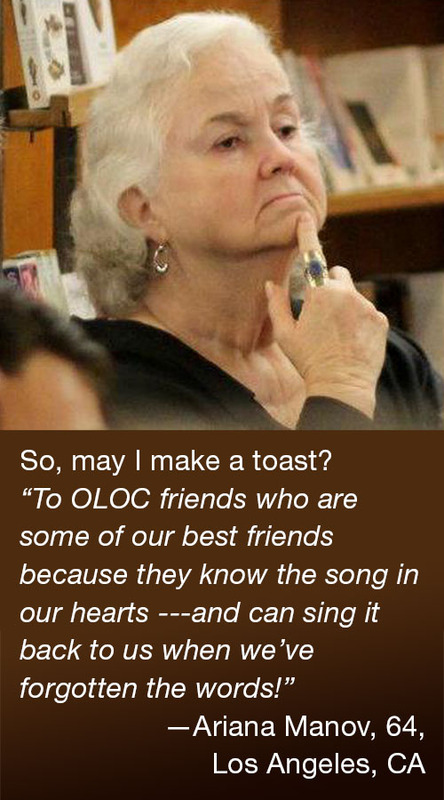 OLOC will be a cooperative community of Old Lesbian feminist activists from many backgrounds working for justice and the well-being of all Old Lesbians. 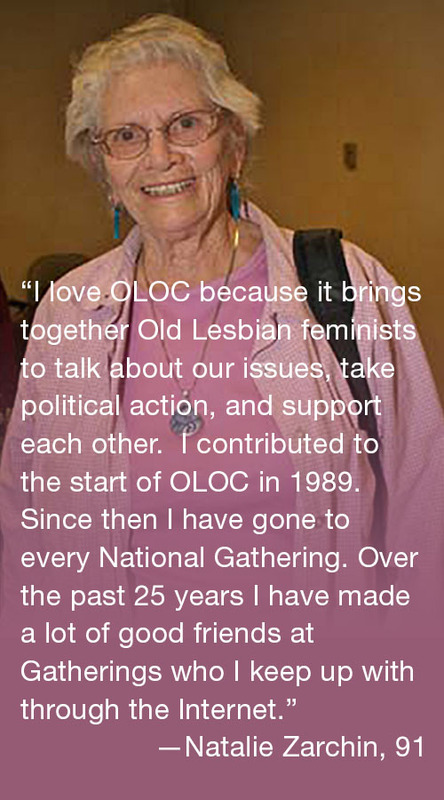 We are a national network of Old Lesbians in our 60th year or older working to confront ageism in our communities and our country. We use education and public discourse as our primary tools. Our national organization is directed by a Steering Committee that works to form and support local groups who will work in their own communities. We hold biennial National Gatherings allowing us to come together to share experiences and ideas and recharge our energies for the tasks at hand. We believe that we have a great deal of wisdom, experience and strength to share with our communities as well as among ourselves. Everyone will have her older life made better by the work we do. 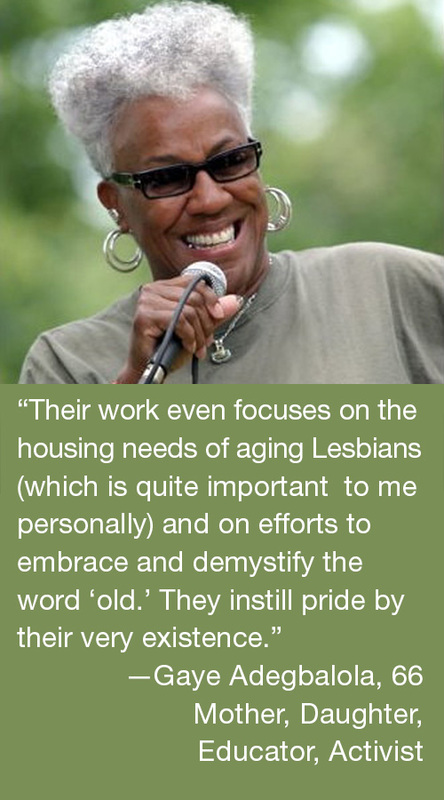 We are dedicated to preserving and enhancing the Lesbian voice as well as increasing Lesbian visibility in a world that stifles it and threatens to erase it.